On 18th March, 2015, LG hosted the third edition of their annual technology convention. The tech. show featuring the theme ‘Innovations for Better Life’ saw over 200 LG products in various categories like home appliances, entertainment gadgets and smartphones. These included some of the ‘hero’ products from LG’s 2015 line-up like the 98 4K UHD, Web OS 2.0 TV, Music Flow, Inverter V Air Conditioner with Mosquito Away technology, new Front Load Washing Machine, New Top Load Washing Machine and lot more. I will give further details about some of these newly launched exciting devices in following posts. So many awesome products were on display at the convention that it’s not possible to give details of them all. There were huge smart televisions, smart refrigerators, washing machines, vacuum cleaners, water purifiers and even curved monitors. For the eyes of a tech. lover, it was nothing less than a lavish feast. And I, for one, thoroughly enjoyed checking out various delights. “2015 started on a great note with LG being recognized as the most trusted brand in India; with the faith placed in us by consumers, we strive to work harder this year as a team to deliver the best possible products, service and quality in the industry.” He further added. 105 5K TV: One of the highlights of the tech show was what’s being called as World’s First and India’s largest 105 5K TV (105UC9T). It has huge 105 (266cm) Screen with IPS 5K Panel capable of displaying stunning 5K imagery at wider angles for more immersive viewing. The colour, contrast and clarity of the display of this TV is truly superb. There were so many techno treats on display at the show, and yet I kept on coming back to watch it again and again. The television has 7.2 channel 150 W speakers designed by Harmon/Kardon along with intuitive WebOS smart interface. However, this isn’t a television that can fit in the homes and budgets of most people. Having a huge screen and costing a hefty 59, 99,900 INR, one needs a big home and big pockets to be able to afford this. 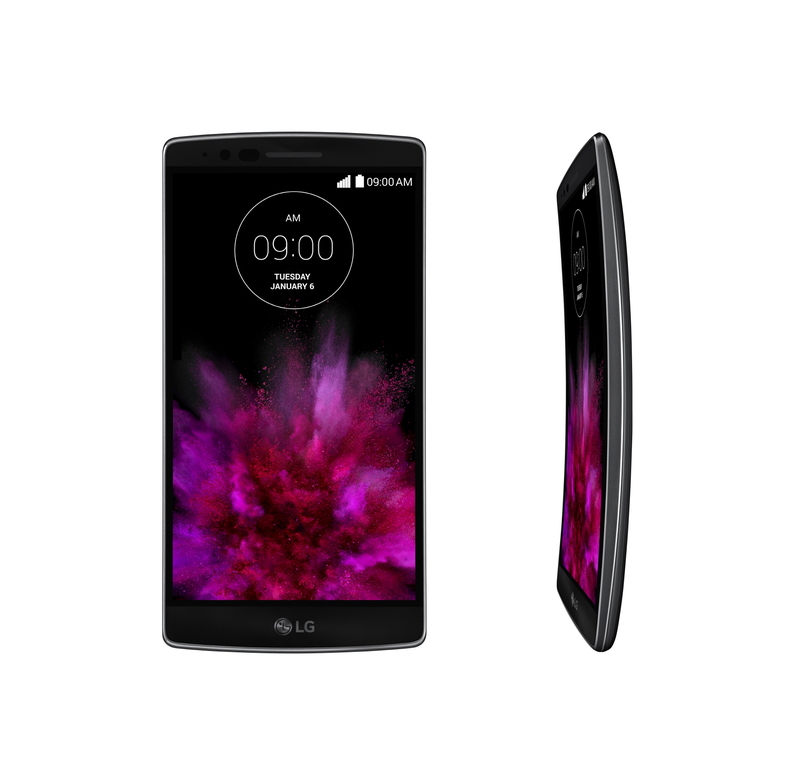 G Flex 2 Curved Smartphone: G Flex 2 was one of the most anticipated and definitely is one of the most exciting smartphones available today. Being a premium device, it also bears a premium price tag of INR 55,000. However, considering the high-rising prices of premium devices, 55 thousand still sounds competitive. G Flex was another device that attracted me quite a lot. G Flex 2 has 5.5-inch Full HD curved P-OLED display. It is powered by the Qualcomm® Snapdragon™ 810 processor and features octa-core 64-bit capable CPUs and integrated X10 LTE and is capable of 4K recording and playback. The smartphone is equipped with 2/3 GB RAM, 16/32 GB internal storage, 3000 mAh battery and 13 MP rear Camera. The device is capable of clicking selfies with gesture commands. And yes, it too has the LG’s special Knock Code and the Rear Key design. That’s just a brief introduction of G Flex. I’m definitely going to give you a more details post about G Flex soon! Smart Inverter 2.0 Refrigerator: The Smart Inverter 2.0 Refrigerator is another important device that was launched at the convention. It may not excite smartphone lovers like me quite so much, but its Smart Connect and Smart Diagnosis™ technology might surely interest the users as it ensures better power management and easier diagnosis of problem. 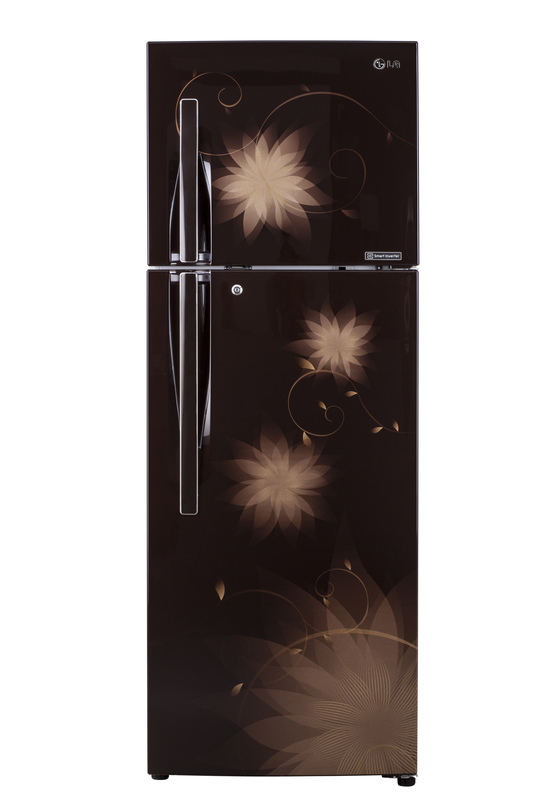 This refrigerator will be available in 255 L-495 L capacity at the price of INR 26,500 – 66,100. The highlight of these refrigerators is that they can be used on invertor as they have very low power consumption. LG Inverter V AC with Mosquito Away Technology: This range of AC emits ultrasonic waves that can keep the mosquitoes away in a non-toxic way, while at the same time function as an AC and cooling the room. 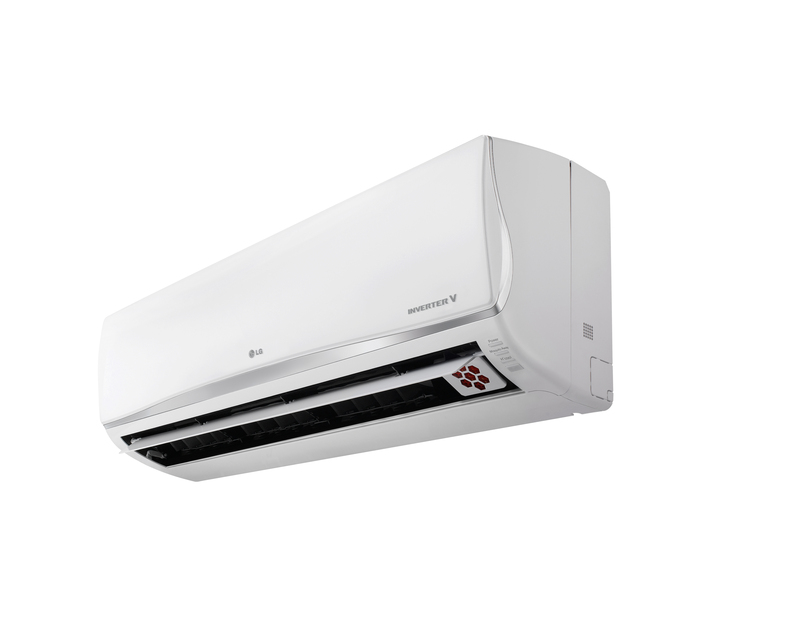 These air conditioners are available in 1.0, 1.5 and 2.0 ton models in the price range of INR 45,990 to 66,990. World’s First 77 4K Curved OLED (77EG970T) Television: This smart television combines 4K and Organic Light Emitting Diode technologies to ensure a superb viewing experience. 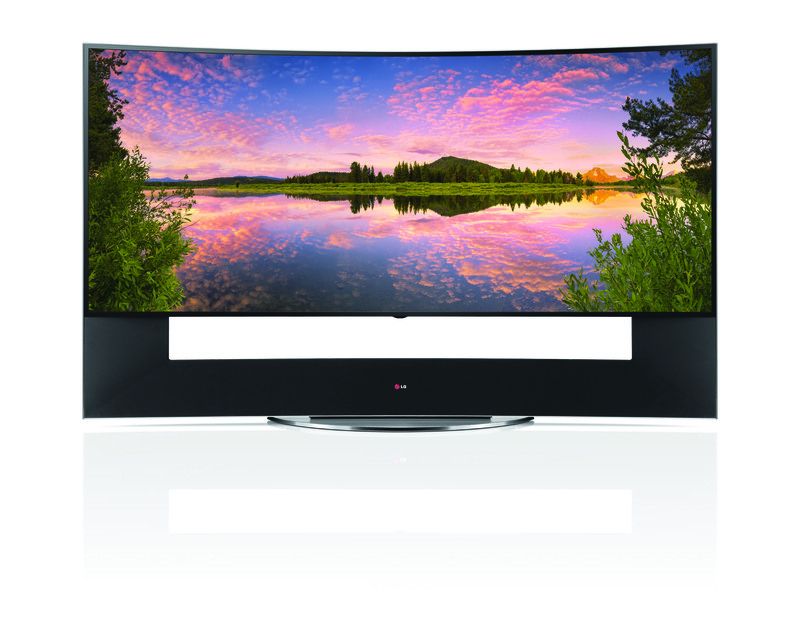 It provides four times the resolution of Full HD and the super sound quality ensured by Harmon/Kardon® audio. .
LG’s flagship 4K Ultra HD range of televisions-the 98 (248cm) 4K Ultra HD TVs (98UB980T) with 8.3 million pixels and 4K 3D+ ensures amazing picture clarity. LG MUSIC FLOW with Auto Music Flow that are equipped to provide Seamless Music Play, Ultimate Network Stability, Diverse Expansion Choices, the LG Music Flow works as an all-in-one music player. 21:9 Ultrawide Curved Monitor that can be used as a single display or a multi-display solution needed by professionals like media composers, video editors etc. 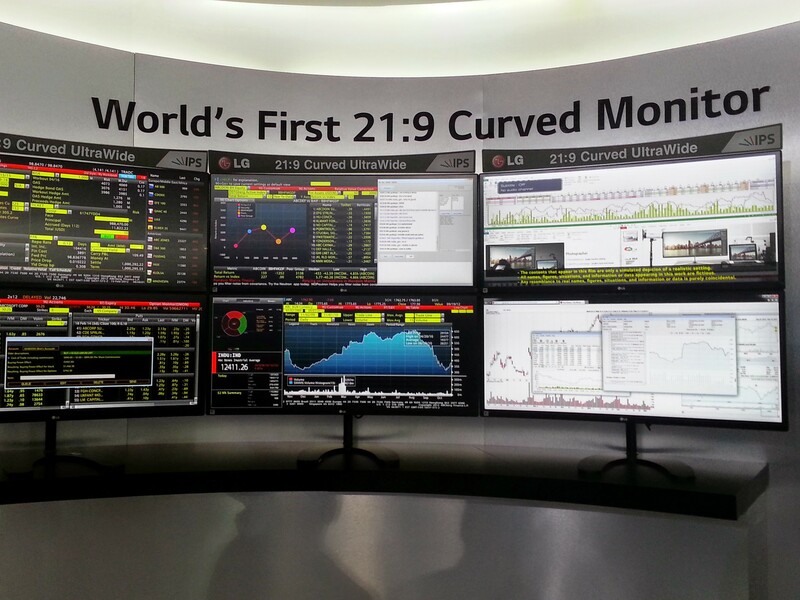 These monitors have curved IPS display with 21:9 aspect ratio. These monitors are compatible with PCs and Macs and are capable of handling heavy graphics and supports Thunderbolt 2 for high-speed data transfer. These monitors also have MAXX AUDIO and 7W stereo. The Gaming Monitors are for handling fast-paced action of the latest games. Different models of the Gaming Monitors have different technologies like AMD Freesync, refresh rate of 144Hz, Motion 240 to minimize motion blur, Dynamic Action Sync (DAS) Mode, Black Stabilizer for consistent blacks across different scenes and Game Mode, hotkeys for optimized setting and customized presets which offer three optimized settings that can be applied quickly by pressing a hotkey on the monitor. And although I’m mentioning it at the last, it was certainly not the least of the attractions at the tech show: the smart watch which definitely attracted more than a few eyeballs. 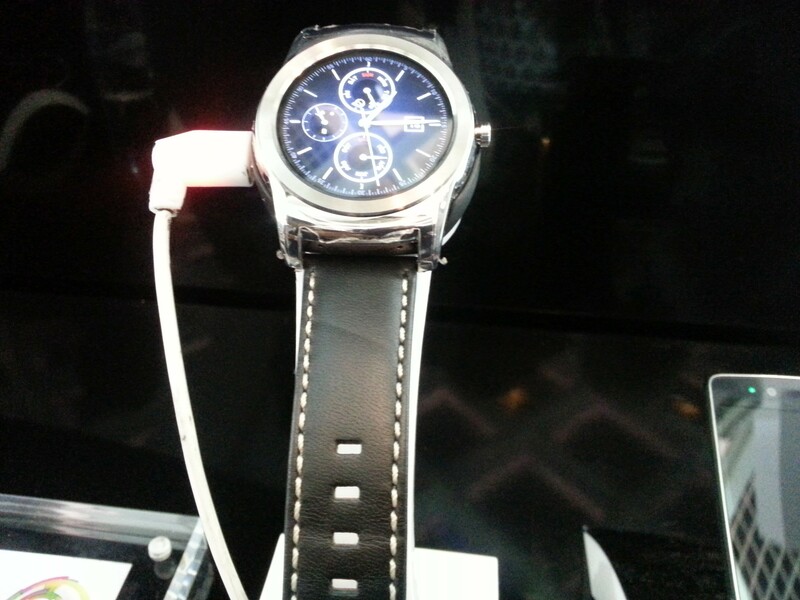 As I heard at the show, the LG smartwatch is compatible to Android devices of any brand that have Jelly Bean or newer versions of Android operating system. 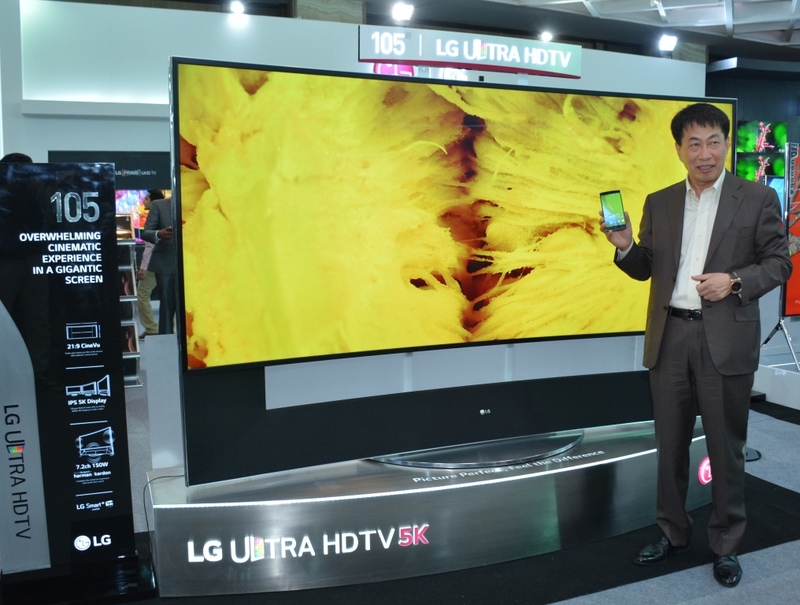 These are just some of the products showcased at LG’s annual tech show. It was an exciting experience to see so many products equipped with futuristic technology on display together. LG already enjoys a lot of trust value in India. It’s good to see them striving to provide the consumers with such innovative and interesting technologies. All the more fun for us consumers, isn’t it?